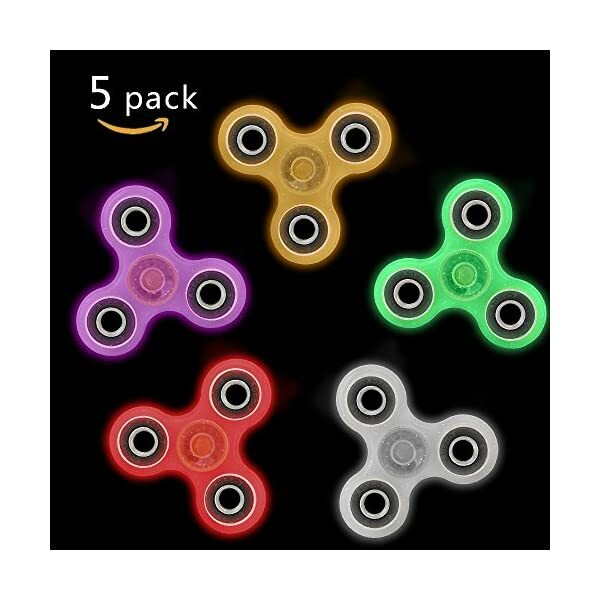 ▲ Package included: 5 Fidget Spinner（1 purple / 1 yellow / 1 red / 1 green / white ). DIAMETER: 2.95 inches. Thickness: 0.31 inches. COLOR: Red / green / white / purple / yellow ). 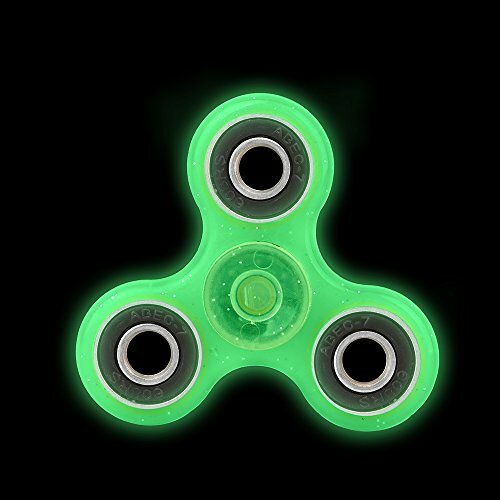 ▲ Glow In The Dark: These fidget spinner will glow in the dark after exposed to natural or artificial light. And please put it under a bulb or light before using, then it will be glowing stronger. ▲ Round corner and smooth surface: Protect your fingers from scratching. NO REPAIR, OIL, MAINTENANCE NEEDED: Use the stress relief toys right out of box. GUARANTEE 1 MIN+ SPIN TIME: The Fidget will comfortably spin for 2 minutes and with a really hard spin even longer. They also suffer very little slow down during tricks. PACKAGE INCLUDED: 5 * Fidget Spinner. COLOR: Red / green / white / purple / yellow. – Bearings are removable for future upgrades. – Round corner and smooth surface: Protect your fingers from scratching. – No repair, oil, maintenance needed: Use the stress relief toys right out of box. – 3 Steel 608 counterweight bearing weights to increase centripetal force and spin time. 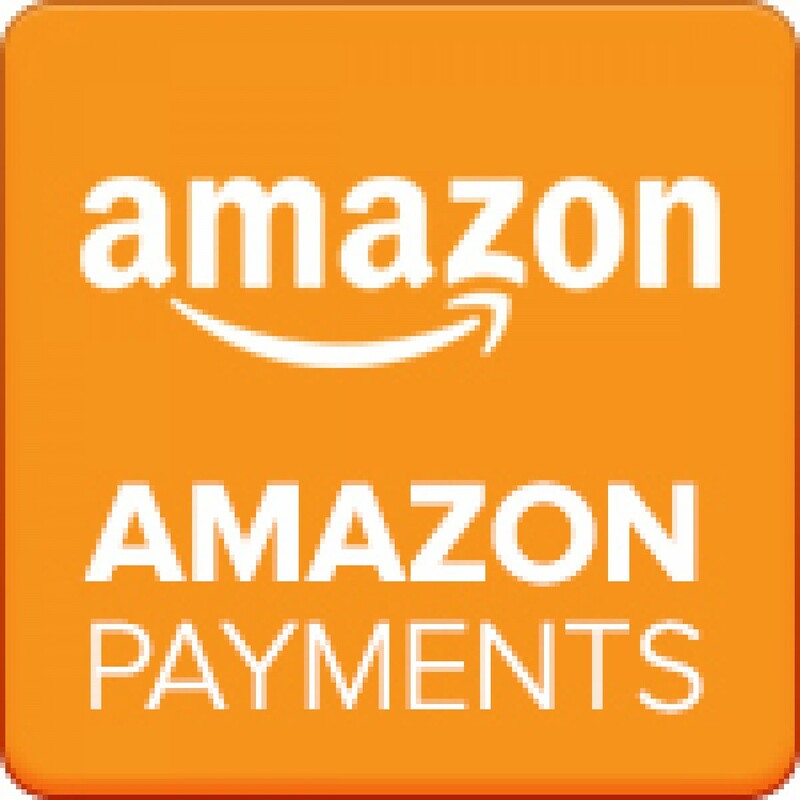 – Great toys for fidget, anxiety, focus, ADHD, autism, quitting bad habits. – Please allows 0.1-0.2 inches error as manual measurement. – Due to the crafts problems, each gyro may exist chromatic aberration, the final color with The actual commodity prevail. – Any problem or question, please feel free to contact us at the very first time, we will resolve for you asap. We are at your service always! Happy Shopping. FIDGET SPINNER BULK: 10 total pieces fidget spinners included 10 colors.These party favors spinners comes with different colors in black,bright white,red,pink,yellow,green,blue,skyblue,purple and white. GREAT PARTY FAVOR: Core premium high speed bearings ensure the smoothest rotation and consistency 2-5 mins spin time.3 steel 608 counterweight bearing weights to increase centripetal force and spin time,very strong material and work great,ultra fast bearings that depends on the force you use. FIDGET TOYS SIZE: dimension: 2.95inch,thickness: 0.47inch.Portable and small enough to carry in your pocket everyday,simple,divertingness and fun to play everywhere,effective for focus and deep thought.Great all in one design for anxiety,focusing,ADHD,autism,quitting bad habits,staying awake on long car drives etc. 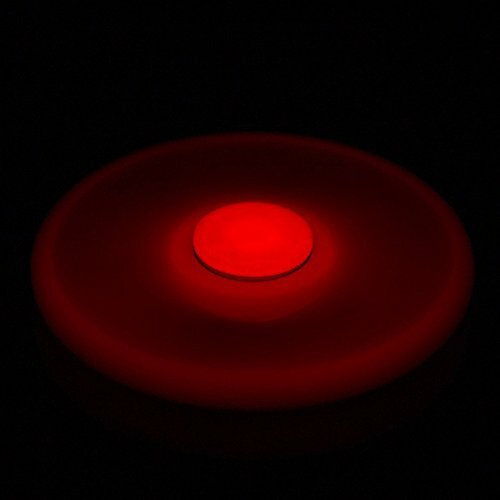 STRESS RELIEF TOYS FOR ADULTS/KIDS: Great fidget toys for killing boring time,have fun and keep focus,you can discreetly spin behind your back or under the desk when you are working, Great gifts for students and friends as party favors.Best fidgit spinners for an ADHD person.Especially help to relax effectively when you are getting nerves. 100% satisfaction + free return: SCIONE fidget spinner comes with a gifts box,it can be a great gifts for anxiety ADHD people,and we provide 30 days money back guarantee（replacement or full refund) for any reason,please feel free to contact us if you are not completely satisfied. 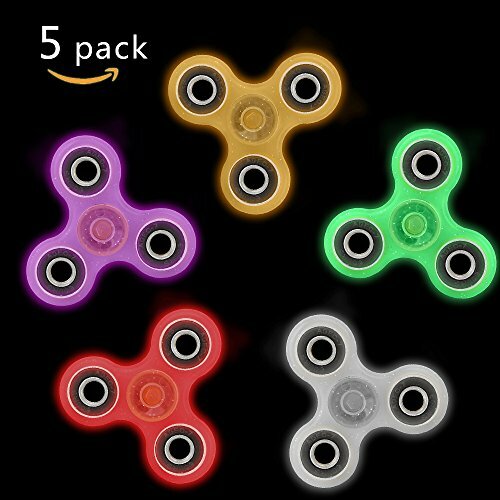 Be the first to review “SCIONE Fidget Spinner Bulk 10 pcs Tri-Spinner Office Desk Classroom ADHD Anti Anxiety Focus Finger Fidit Spinners Stress Relief Toys for Adults Kids Party Favors” Click here to cancel reply.